On February 1st we gathered with film and digital industry members for Film Day on the Hill in Salt Lake City to showcase the incredibly diverse entertainment industry brewing locally. The industry is comprised of 450 companies that employs at least 4,300 workers and pays more than $100 million in wages and salaries. Not to mention, it keeps the world endlessly entertained! From traditional production companies to game designers and virtual reality creators, Utah truly is a hotbed for creativity across many sectors. Utah Governor Gary R. Herbert & Lt. Governor Spencer J. Cox at Film Day on the Hill. Check out this video featuring Utah Film Commissioner Virginia Pearce from Film Day on the Hill. I would encourage you to watch it twice. First, listen to what she is sharing about the industry in Utah which is uniquely positioned to compete with other states for film production due to our iconic landscapes, experienced crew and established infrastructure. Then take a look at all the activity in the background, including intricate set designs, groundbreaking technology, fantastic costumes and innovative companies. This is just the tip of the iceberg in terms of what these groups can do! 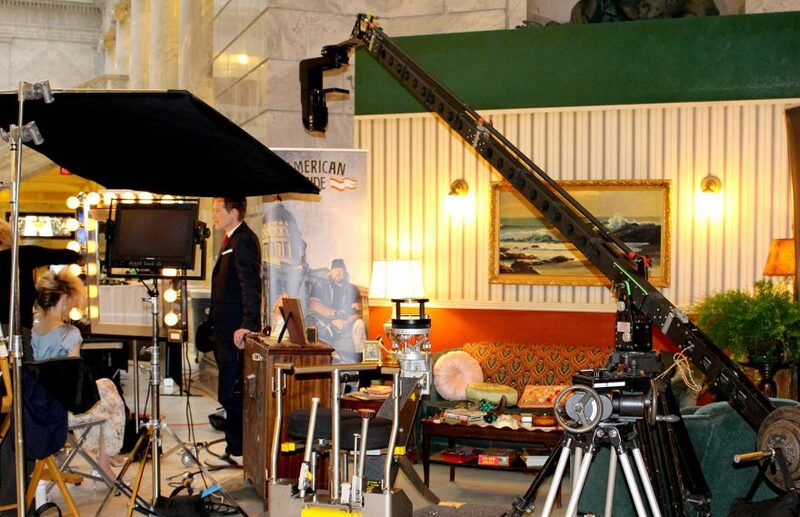 The Utah Film Commission’s Motion Picture Incentive program has been making an incredible economic impact on the state and employs a variety of recruitment strategies to bring projects here. Those efforts have resulted in 146 films in the state, 13,830 jobs created and $239 million in direct Utah spending since 2005. The future is bright! In 2016, more than 3,000 students were enrolled in a film or digital media program at 13 of Utah’s higher education institutions. I can’t wait to see what these students cook up. The industry is going digital. More than 80% of film production is done digitally so it’s crucial for artists to stay on top of new technologies. Legislators are proud of the strong film and digital entertainment industry we have in Utah and see it as an incredible asset to our cultural landscape and bustling economy.